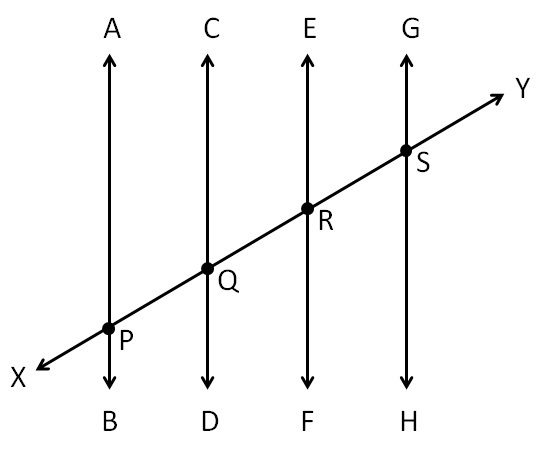 Here XY intersects these 4 lines. 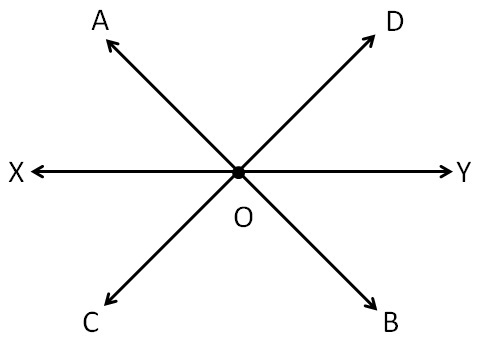 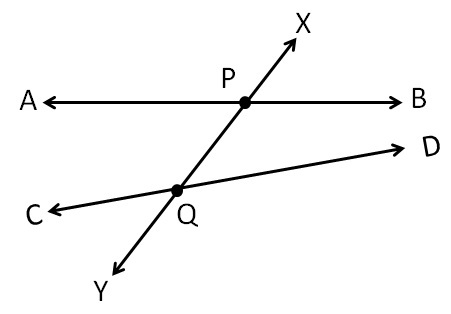 At distinct points P, Q, R, S.
it is not a transversal. 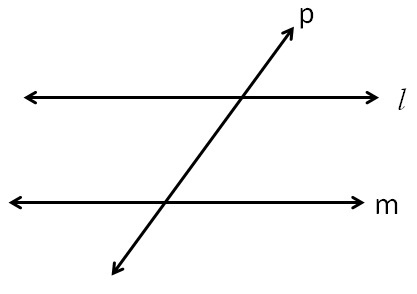 and line p is the transversal of line l & m.
Let’s learn the angles formed by the transversal.